Kohler Trend, Replace 3 hole shower valve? Discussion in 'Shower & Bathtub Forum & Blog' started by JoshRountree, Feb 10, 2019. Looking for some advice on a 3 hole shower valve. I have to replace the rubber washer (circled in red) every couple of months. It's only on the hot side. I'm thinking I need to replace the seat as well, but looking for advice. I'm thinking I need to replace the seat as well, but looking for advice. Yes. Replace the seat too. Does not need to be ugly at all, but more work than a seat. It would give you thermostatic or at least pressure balancing too. Moen Posi-Temp with TL2368EP trim. Retired Systems engineer for defense industry. A new, code compliant (you're grandfathered) valve would help if you decide to sell the house, and it does help protect from scalding. Depending on your existing plumbing and use pattern, that may or may not be a normal problem. I've been by Lowes but they have slim pickings. Looks like I'm going to have to order it off the Internet. Compare the diverter stem to yours. Hot and cold is no problem but the Kohler Trend series used multiple diverters. Try sending a photo to them of your diverter to see if it matches. One of my gripes with Kohler is that they tend to have the design of the day...unlike many of the others out there, they seem to change not only the trim (everyone does this), but also the guts of their valves sometimes, with small volumes sold. Their parts book is like a phone book...lots of entries. This is one reason why it's hard to often locate the specific part you may need...nobody wants to stock so many, only the more common ones. Your best bet is to call Kohler and verify EXACTLY what you need, otherwise, you may never get things working again. If anyone buys anything Kohler, make sure to file away the instructions which have the parts list. Then, and only then, can you at least start looking for the proper part that will work. Boy did you save me some headache. I tried to pull the diverter stem out but I didn't have the tools to get it all the way out. It's like there some kind of ball/socket that wouldn't unscrew. I was able to get the cap off the diverter though. Can anyone suggest a replacement for this? I've looked but can only find single handle faucets for new construction. I'm not a big fan of the big diamond cover plate, but will go with that if that's all there is. I have easy access from behind. 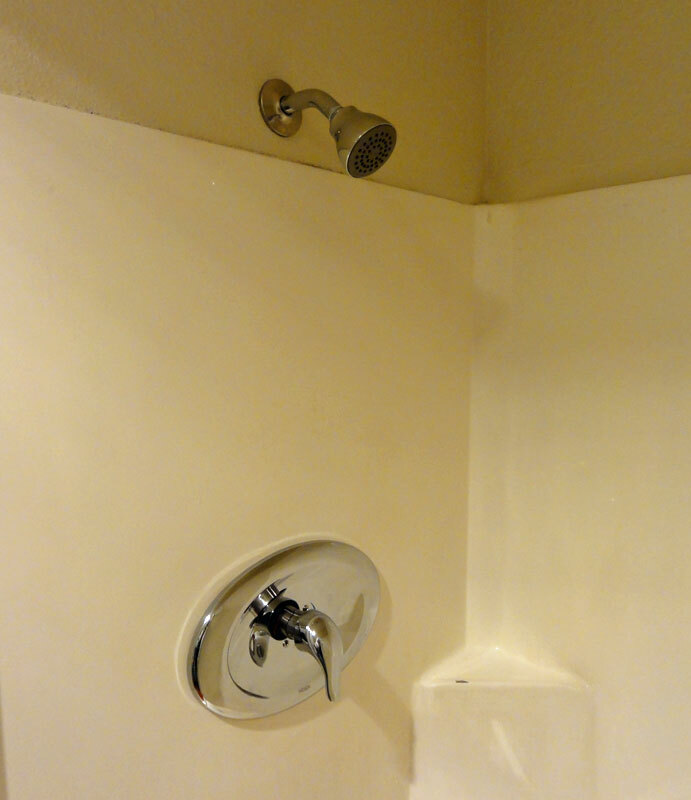 Since the early 80's, all shower valves must have anti-scald tech. It's far easier to do that with a new, single-handle valve. But, there are stand-alone anti-scald valves that can be plumbed in. It's just that they tend to be a pain to install, and add a second thing, hidden in the wall where you must have access for service, that most people don't want to deal with. All of the modern ones will have one or two handles. Sometimes, you can add a third one for a diverter, depending on the configuration, but that adds costs. Those that have two handles typically control the volume separately, and the other one controls the temperature. The temperature control can be a simple mixing valve or it can be a thermostatically controlled valve. Many of those tw0-handle designs make the two items concentric, but there are some that have two distinct handles.